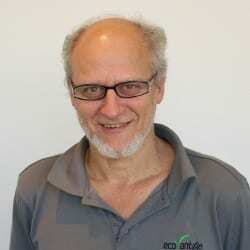 Bruce is a long term contributor and expert in energy efficiency schemes. He has contributed to numerous stakeholder submissions on all state energy efficiency scheme changes, the Technical Working Group (Commercial Buildings) Emissions Reduction Fund and the National Energy Savings Initiative Advisory Group. Bruce is a passionate advocate for the contribution of market based schemes to the economy and the fight against climate change. As the Executive Chairman, David’s focus is on the company’s financial management, business development and the external competitive environment. With a demonstrated track record of growing shareholder wealth, David has participated on the Board of more than 20 private and public companies covering both domestic and international markets primarily focused in the financial and services industries. As a Director at Ecovantage, Chris’ focus is on business development and organisational design. During his career, Chris has worked in a variety of management roles in business services, supply chain, commercial sales and project management including 25 years at BP. More recently Chris has worked in the environmental sector and is currently the General Manager of the Mexico Carbon Project for Cool NRG International. Prior to joining Ecovantage in 2011, Kellie spent over 14 years in Finance and Operations management roles. whilst ensuring the continuity of customer service excellence. Kellie also spent time running her own consulting business empowering small businesses to make smart decisions with better financial reporting and enabling business process improvements via ERP systems implementations. As an experienced marketing professional, Jacqui has gained a broad knowledge base from working across the service and retail landscape over the past 14 years. She has a varied skill set which traverses marketing strategy and branding, communications, customer service, problem-solving and relationship management. Prior to Ecovantage, Jacqui worked for some of Australia's largest entertainment brands and has significant experience in large franchised businesses. An electrician by trade, Bob worked in the electrical industry before co-founding and managing an electrical and data installation business specialising in security access control and CCTV installation. He then managed the implementation of security access control systems on a global scale across 70 countries for Cisco, Ebay, Microsoft and Intel. More recently Bob has worked across the sustainability sectors managing the implementation of variable frequency drives and commercial lighting installations under the VEET scheme. Bob is energised by the opportunity to lead the Victorian team at Ecovantage and find innovative solutions to the environmental problems before us.